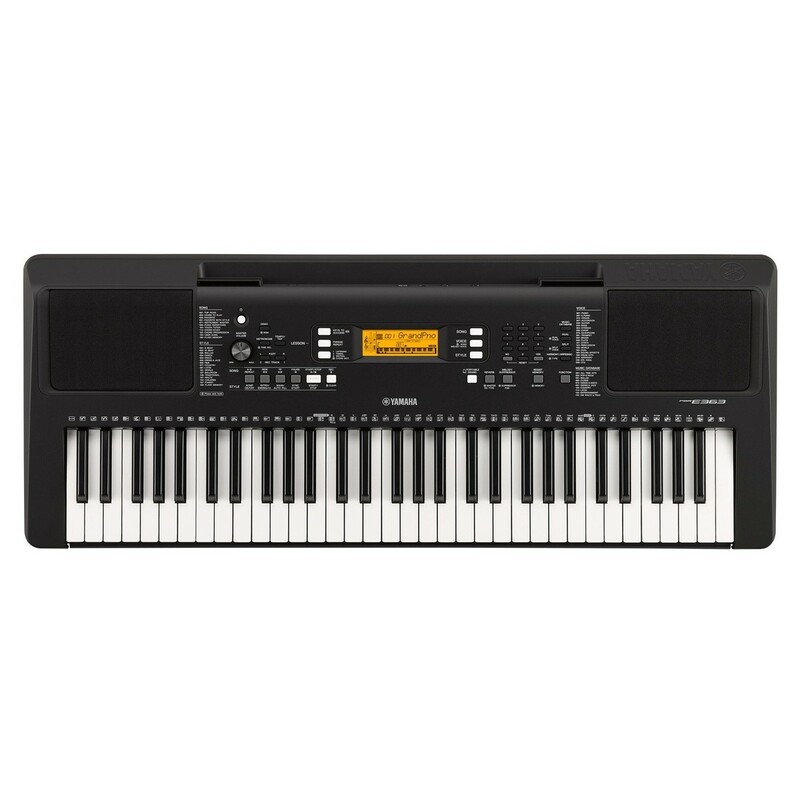 The Yamaha PSR-E363 Portable Keyboard offers a comfortable playability and easy portability to the developing musician. 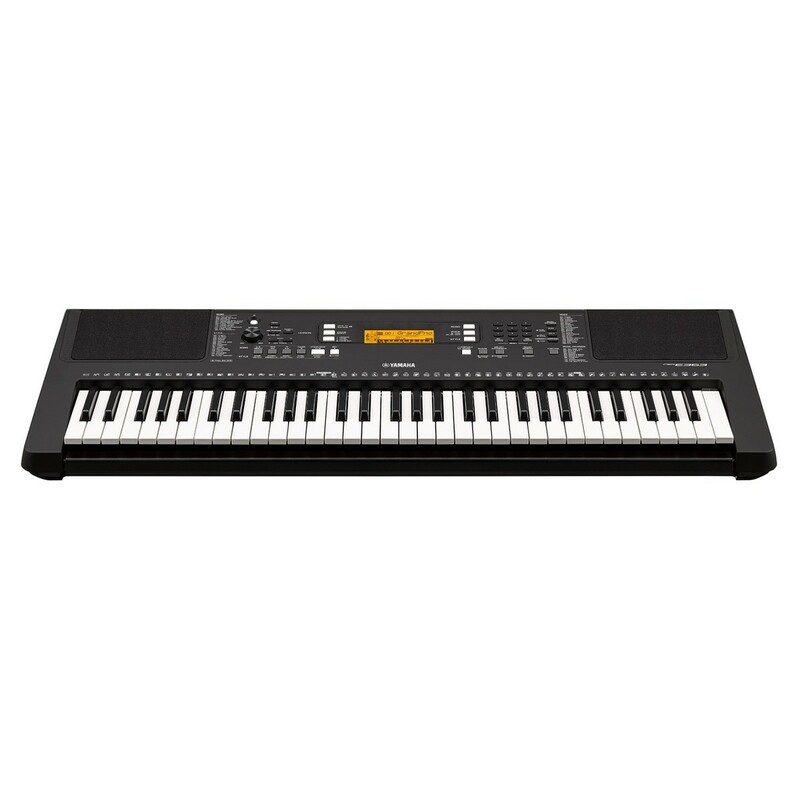 The PSR-363 has 61 keys, which is suitable for younger students who don't yet require a full scale length. 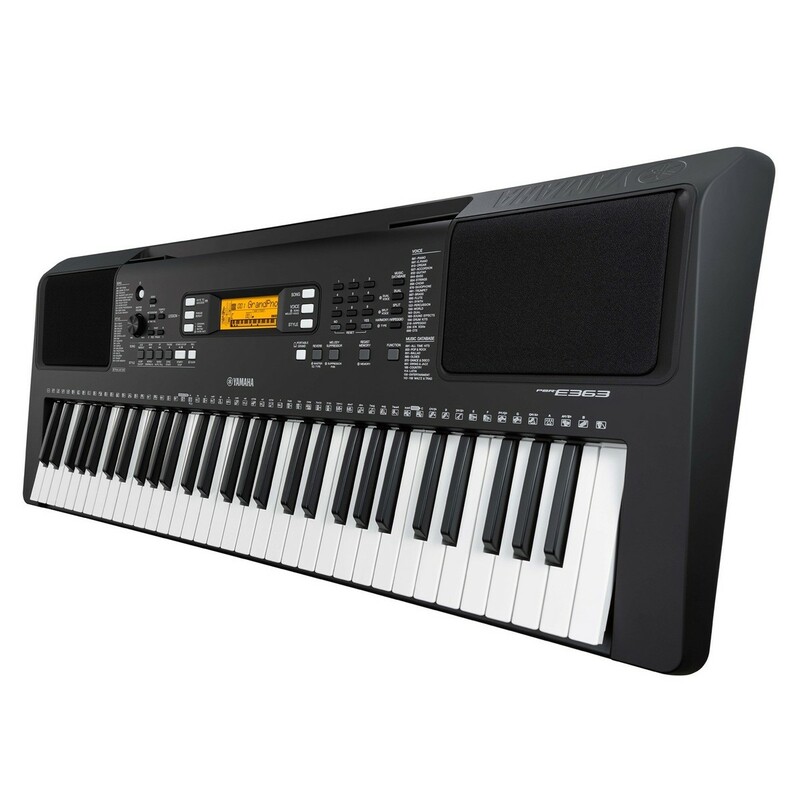 This keyboard features over 550 voices that include synths, guitars, orchestral instruments and even drum kits, all with a range of effects. The Keys to Success and Y.E.S lesson functions assist with helping students independently develop their skills. The PSR-E363?s 2 track, 5 song recorder is ideal for quickly storing your compositions, and can be sent via USB to your computer. This model can function from a power supply or batteries, so you can take your music on the go. The PSR-E363 benefits from a comprehensive voice library to experiment with. Featuring over 500 high quality voices, the PSRE363 includes a range of keys, synths, guitars and brass instruments to utilise. This is ideal for students who want to try different genres of music, sound like their influences, or add layers to a band. Each voice can be enhanced with the different types of reverb, chorus, arpeggio and more. The PSR-E363’s library can be easily accessed and recalled using the intuitive interface and display guide. For experimenting students and bands who want their music to be constantly creative, the PSR-E363 is an ideal choice. A comfortable, easy playing keyboard is vital for developing students. The PSRE363’s keys have a touch sensitive system that reacts to your style of play and responds with an adjusted sound. This feature is ideal for students wanting to hear how the keyboard will react to different styles. It is integrated with the lesson functions to give a more detailed review of how you play, so your suggested improvements are more accurate. The touch sensitivity on the PSRE363 gets your playing closer to a high end piano.